The definition of a hair transplant is hair follicles moved from one part of the body to another. A typical hair transplant is done on the head, to fill in thinning or balding areas of the scalp. A very popular type a hair transplant is the Follicular Unit Transplant (FUT). A local anesthetic is injected into the scalp to numb it. Painlessly, a strip of scalp is removed and the area of the incision is carefully sutured to minimize scaring. The hair follicles in the strip are trimmed and isolated into small follicular units of 1 to 5 hair follicles. Then, these follicular units are placed into tiny incisions in the scalp’s balding areas using special blades. >Continue reading What is a Hair Transplant?” />Rejection is not an issue with the type of hair transplants that are typical today. Organ transplants are from one person to another, and the recipient’s immune system will probably reject the organ unless they take special medicines. Hair transplants use the recipient’s own hair and therefore, are not subject to rejection. The body treats the transplanted hair just like all other hair on the body. Any hair remaining in the transplanted follicles quickly fall out. It takes three to six months for the transplanted hairs to begin to grow, and full results are expected within ten to twelve months. If the hair transplant recipient wants faster results, a new method called Accelerated Follicular Restoration(TM) (AFR(TM)) involves ingesting Dr. Shapiro’s Help Hair™ Shake as directed after a hair transplant. AFR makes the transplanted hair start growing more quickly. A study of AFR showed that taking this supplement reduced the time for growth to start from 3-6 months to just 6 weeks-2 months. The supplement contains whey protein concentrate and vitamins, minerals and herbs specifically chosen for their positive effects on hair. Before considering a hair transplant, a diagnosis is needed. The reason for the hair loss is a major factor in determining an individual’s candidacy for a hair transplant. This is why finding a qualified hair loss doctor is crucial. Any doctor can claim to specialize in the treatment of hair loss, but dermatologists are the only type of physician specifically trained in the causes and treatments of hair loss. There is a long list of possible causes of hair loss, which includes side effects of medications, alopecia, male pattern baldness and hormone imbalances. 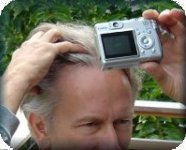 Male pattern balding is related to hormones, and it is extremely common, especially in men. It affects the crown and hairline. This is the most common type of balding that is treated using a hair transplant. Women frequently develop hormone imbalances related to menopause and pregnancy, and this can result in hair loss that is diffuse or patchy. Once the hormone problem has been corrected, if the hair does not grow back, then a hair transplant is a permanent solution to the problem. Some of the other reasons for hair loss can be treated with a hair transplant, and some cannot. To get the best results from a hair transplant, find the most qualified hair transplant doctors who have thousands of satisfied patients. A doctor who does hair transplants on a daily basis will logically have more practice and expertise than a doctor who only does one or two a month. The doctor should be able to show you more than one surgical hair transplant he or she has performed, and show you thousands of un-retouched before-and-after photos of patients. You should be able to meet any patient. Make sure they belong to a legitimate medical society such as the AMA or AOA. Dr. Shapiro is a hair transplant surgeon who meets all these qualifications. He offers hair loss treatments, including hair transplants, to patients from all over the world and the United States at his offices in Miami, Boca Raton and Ft. Lauderdale areas of south Florida. This entry was posted in Baldness, Hair Loss, Hair Transplant, Hair Transplants on December 30, 2010 by Larry Shapiro.